Legal practitioners under the aegis of Coalition of Lawyers Against Terrorism have vowed to drag the convener of the Coalition for Peace and Security (CUPS), Dr. Idris Ahmed to court over allegations of publications malicious against the military, capable of undermining the country's security. The coalition also resolved to explore legal option to compel Facebook, Twitter, NewsRescue and others social media outlets to stop making themselves available for use as channels for promoting terrorists’ propaganda. In a communique reached at the end of a round table meeting in Abeokuta, to review the war against insurgency, the legal practitioners expressed concern that the war against terror has extended to the cyber space where persons that appear to belong to the cyber cells of terrorists deploy propaganda in support of the insurgents. The communique signed by CDC chairman, Adedotun Akintola-Idowu and secretary, Moses Toro accused Dr Ahmed of being at the "forefront of the propaganda support for terrorists on the internet through the publication of malicious contents that were found to be false, unsubstantiated and with intent to damage the reputation and standing of the military institution in the estimation of right thinking Nigerians." "The malicious contents have been tracked on Facebook, Twitter, NewsRescue website and other online platforms. These platforms have been deployed for propagating lies and falsehood that have hurt the interests of Nigeria and Nigerians. "It is of interest to note that more progress would have been made in completely freeing Nigeria from the clutches of terrorists had such calculated malicious communication not been undertaken by these offenders. "After exhaustive deliberation, the Coalition of Lawyers Against Terrorism resolved to pursue a legal action against the hired agent of destabilization. 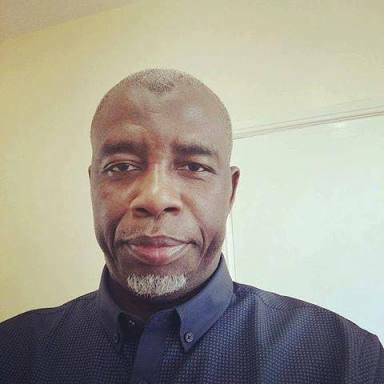 it has been established that he is an agent of foreign occupation working to advance the interests of terrorists to undermine Nigeria’s national security using falsehood against the military," the communique stated further. The coalition noted with satisfaction that the military has sustained the momentum against Boko Haram insurgents/terrorists in the north east of Nigeria even though there remains the sporadic attacks attempted by the terrorists. The Coalition urged the three arms of the federal government to play their part in dealing with the proliferation of terrorists’ activities online in view of the dangers posed to the country.